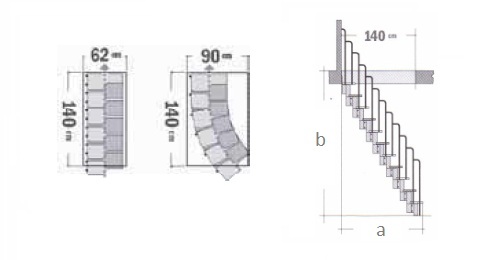 The length of stairs (dimension a) is 155, 165, 175 cm for 12,13,14 steps. Minimum hole in the roof 140 cm x 60 cm. It is possible to adjust lift in the 19 - 23.5 cm. 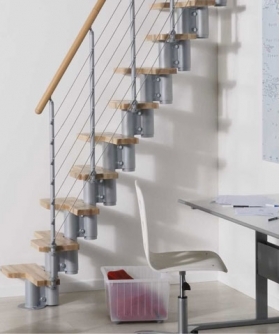 Steps with a handrail have a width of 58 cm. 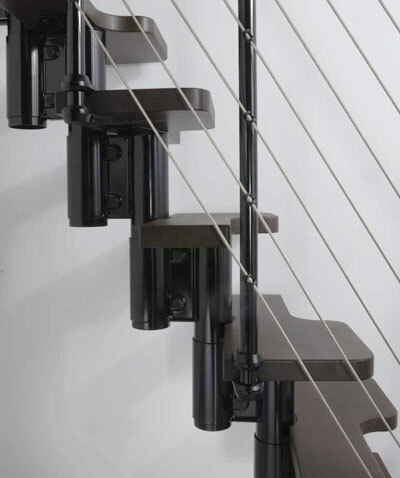 Steel construction in huge range of colors: black (RAL 9017), white (RAL 9010) or grey (RAL 9006) and black accessories. Stairs are characterized by steps (11, 12, 13 steps, 12, 13, 14 levels) of beech in light (natural) or dark color, suitably profiled and arranged alternately, providing the ideal compromise between functionality and dimensions. On one side of stairs is a handrail. You can buy a handrail on the other side.